Current Read: Well, this is what I'm reading this week/weekend for my BioChem class. 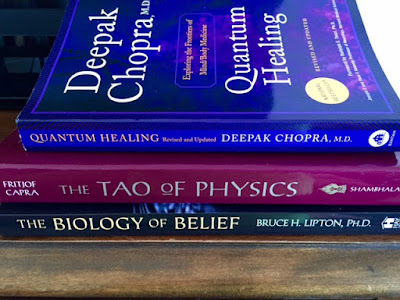 This assignment covers quantum physics, in regard to the mind-body connection. Ummmm, yeah, I feel like I'm in way over my head. It feels a little new-agey but it's also fascinating. Over Christmas break, I finished The Martian, Fates and Furies, The Immortal Nicholas, Rising Strong, and I started H is for Hawk, but sadly did not finish. I was very happy to read for pleasure during those 2.5 weeks. Current Playlist: I'm a podcast girl...these are the ones I listen to faithfully. Current Color(s): Red! I got a red, plaid flannel for Christmas that I love. Also found a great red sweater that is so soft and comfy. Most of my house has pops of red and I've realized red just makes me happy. Current Food: I cannot get enough roasted broccoli. I hated broccoli until I discovered roasted broccoli and now, I roast a batch almost every day. So delicious. The only downside is that it makes my house smell like...broccoli...and my family lets me know that it smells bad. Current Favorite Favorite: I've got a few to share. I've been using this coconut argan oil on my face in place of my regular moisturizer. It's ah-mazing! It absorbs quickly and doesn't feel heavy or greasy plus it smells great. My face gets so dry in the winter and this oil has made a big difference in keeping it moisturized. I'm also loving this hand cream! I got it in my stocking for Christmas, probably because I left my family a LOT of hints. I found both at my local health food store. I'm also digging essential oils + my diffuser. I felt like I was getting sick last weekend and I put some Thieves oil on my tongue (tastes horrid) and within an hour my symptoms were completely gone and never came back. 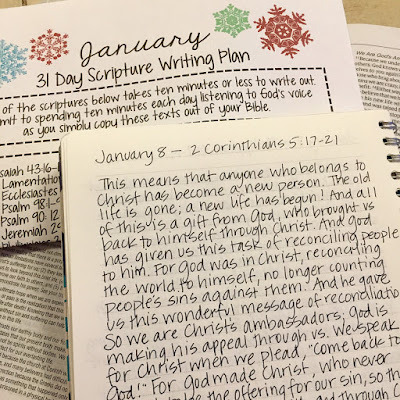 I'm LOVING this January scripture writing plan and I LOVE writing with these pens. They are the only kind of pens I buy. I'm *very* particular about my pens. Current Addiction: LaCroix grapefruit carbonated water. 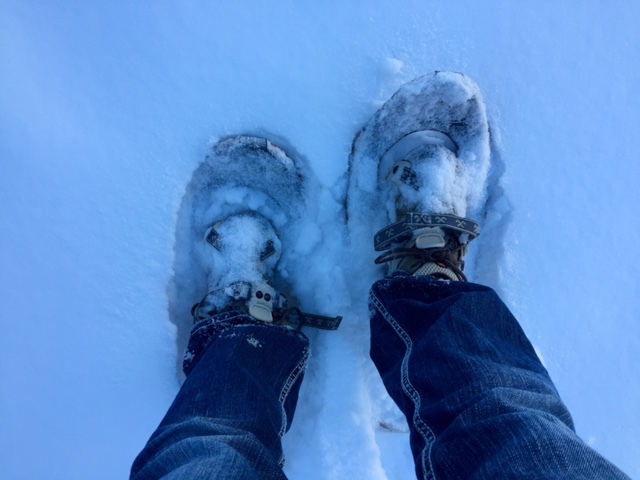 Current Wish List: I really really really want a pair of snowshoes. I've said this for years but I always talk myself out of buying them. They've been bumped to the top of my list again. Current Need: I need to make some serious progress with my next BioChem assignment over the weekend. 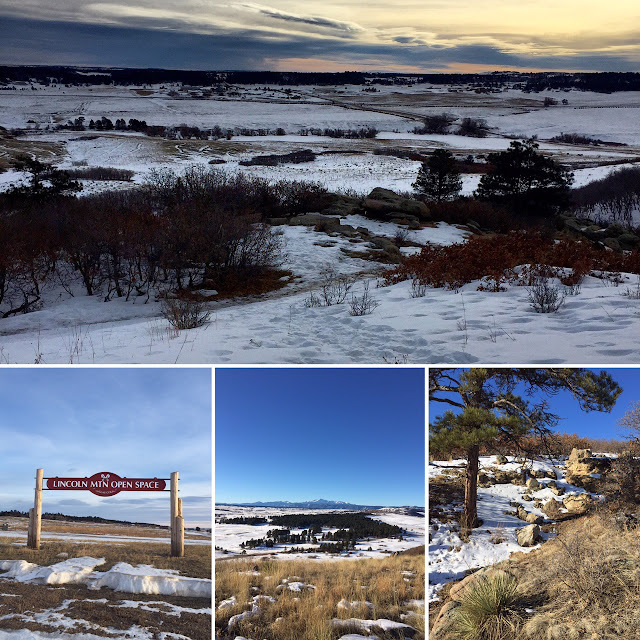 Current Randomness: I discovered a new hiking trail a couple of weeks ago and I'm smitten. I love that it's close to my house, gets my heart rate up, and has gorgeous views in every direction. I went this morning with some friends and it was very cold, but so beautiful! Current Triumph: I'm on track with my 2016 goals--at least with the ones you can measure. Current Annoyance: I really hate washing/drying/fixing my hair. I've been pushing the limits of how long I can go without washing it lately. I have super thick hair (a blessing, I know) but it takes so long to blow dry it and then I still have to fix it. I've been rocking different hats this week. This red (red! favorite color!) one I bought a few years ago is still my favorite. Current Blessing: My husband. He's been so supportive of me going back to school. He's picked up a TON of my slack around here--laundry, grocery shopping, etc--and I am so grateful. Current Mood: Sad. Will flies back to Arkansas in the morning. It was so nice having him home for Christmas break. 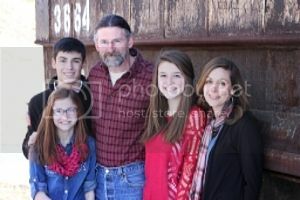 Dreading having to re-adjust to it just being four of us again. Current Excitement: I'm going to Austin in a few weeks for the IF: Gathering. A few friends from church scored tickets and we are SO excited to be there in person this year. Current Project: I feel like school is my never-ending project. It's pretty consuming. Current Plans For The Day Evening: Earlier this evening, I made a yummy dinner for my family then made them play a board game with me. They obliged but I think it's because their dad warned them this afternoon that playing a family game was my one wish on this night before Will heads back to school. The kitchen has been cleaned, the board game put away and now one child has gone to a basketball game, one is painting at the kitchen table, and one is packing his suitcase. So I think I'm going to put on my pjs and make a grocery list then maybe watch a movie. Except I can rarely watch movies these days. I prefer television shows that are 40-60 minutes because that's about as long as I can stay awake once I sit down and sit still. Peace out, peeps.